ADD-ONS: ~Jumpers~Trackless Trains ~Popcorn Machines ~Dunk Houses ~Tables and Chairs ~And More! We are a fully insured corporation with a 5 star rating on Yelp so you can be sure your event will be professional, seamless, & memorable! The high school students loved the animals, and the staff members were helpful and very chill. Easy and straightforward experience. Would book again. We had Elmo come by for my son’s second birthday. He first came as “Cray Cray the Clown” and did balloons and face paintings. Then he changed and was Elmo. The kids loves him. My son actually fell asleep on him when he was holding him. Birthday boy’s wish came true. Thank you, Elmo! My daughter was delighted with Moana. She had a great day. Thanks Celebration Sensation.! We were so delighted with our party. We had a lovely unicorn who painted faces, made balloon animals and sang for my daughter's 3rd birthday. It was a treat all around. He exceeded our expectation! He arrived early to make sure he got the address correct and answer any questions we may have had was very friendly and a great performer. 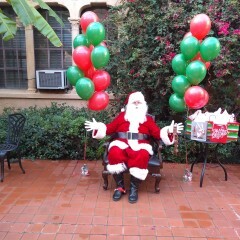 The kids were excited, the parents were very pleased and the staff loved him. He did a terrific job, will definitely use again in the future. On time, and friendly. The kids loved him. So happy to hear he was a hit! Looking forward to being a part of your future celebrations! Our Santa (Steven S.) was Outstanding! From the very beginning of our event, to its conclusion, he set the tone for happiness, celebration, warmth, and most importantly, inclusion! Our event was to celebrate the opening of our Women's Housing Program, which provides shelter and services for homeless women. It was wonderful to see our residents (who have suffered things no one ever should), light up, smile, laugh, and even Dance with Santa! 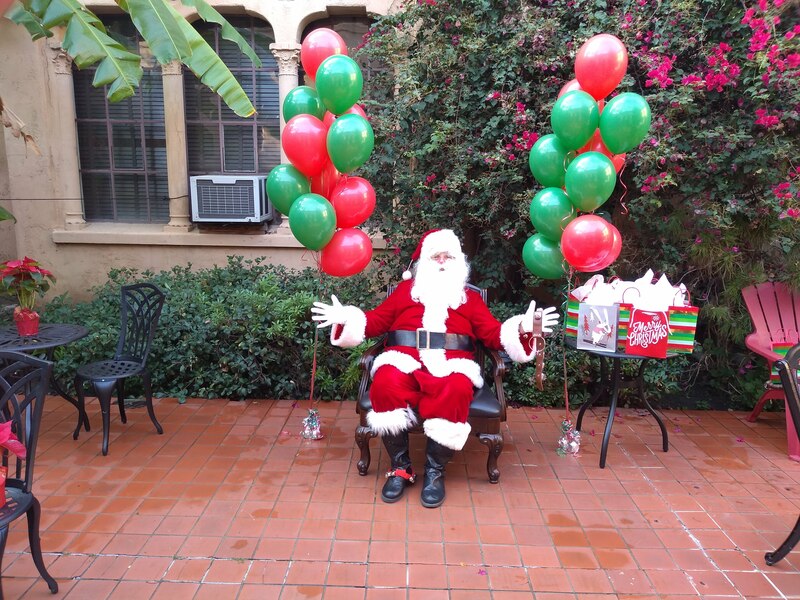 He was the Perfect Santa for us, and we look forward to using him again at upcoming Holiday celebrations! So happy to hear your party was a HUGE success!! 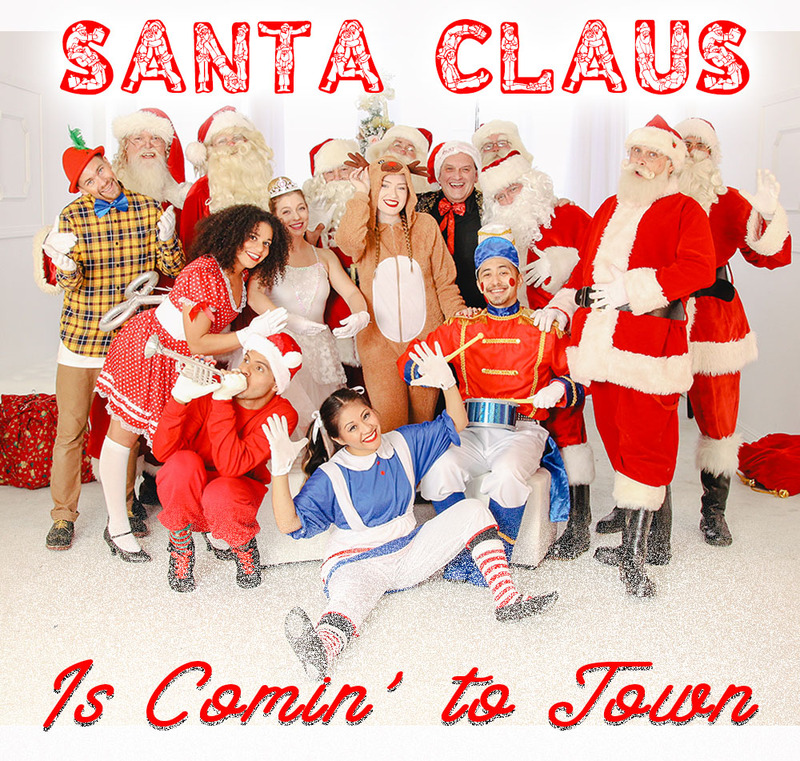 Looking forward to being a part of all of your party entertainment needs!! Our Lego guy arrived early and he was just waiting there when we were ready to start. 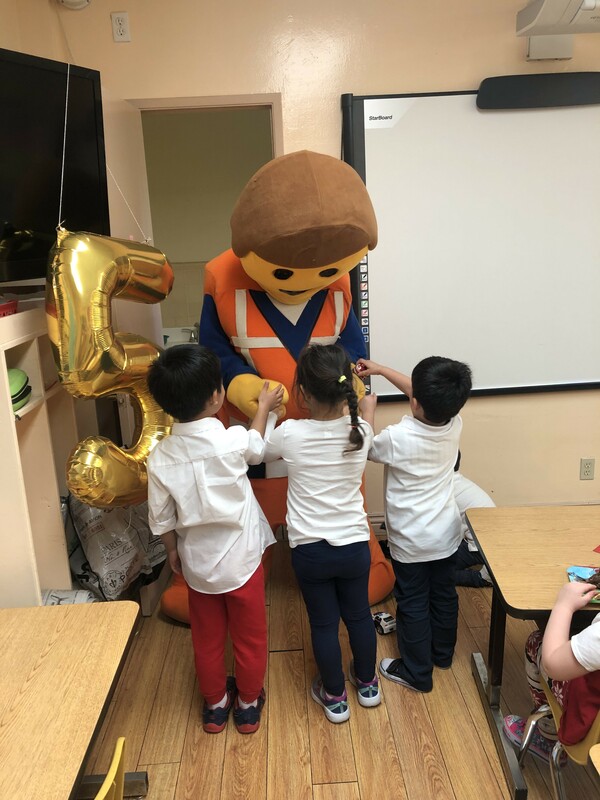 He first came in as the Emmet from Lego movie, and the kids were so excited to see him. They couldn't stop touching him cuz he was so soft. 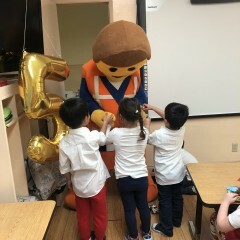 It was so much fun to just watch the kids having fun with Emmet. Then he got changed into a fun person and did balloon twisting and face painting for the kids. The face painting and balloon twisting wasn't great but the kids were happy. Great party overall. Thank you!! Loved his exit and had a perfect Santa "ho-ho-ho". Thank you Santa Steve!!! So happy to hear that he was a HUGE hit!! 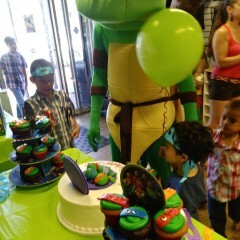 We are here for all of your party needs!! Hope you have a wonderful Holiday!! Cindy Loo and the Grinch! They were very sweet and professional! Both the Grinch and Cindy Loo were loved by all -- kids and adults alike! Professional, on time - book them and no worries. Great job done by all!! Great company to book for your gig! Looks like everyone had a blast! 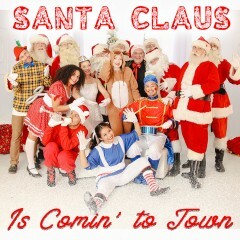 So happy I was able to supply so many awesome Santa's for your event!! Love Love Love the photo!! The performers were great. Very professional. Thye involved my daughter in their actvities and took lots of pictures. My daughters 1st Birthday and the kids had a blast with Rapunzel. She kept them well entertained throughout the hour. Up on time and made every minute count The kids had so much fun and my sons face when he saw Woody was absolutely priceless! Thank you!! Party started on time. Costumed character was ok. Costume in my opinion could have been much better. Character seemed to kind of be winging it a little and not have a set plan in place. 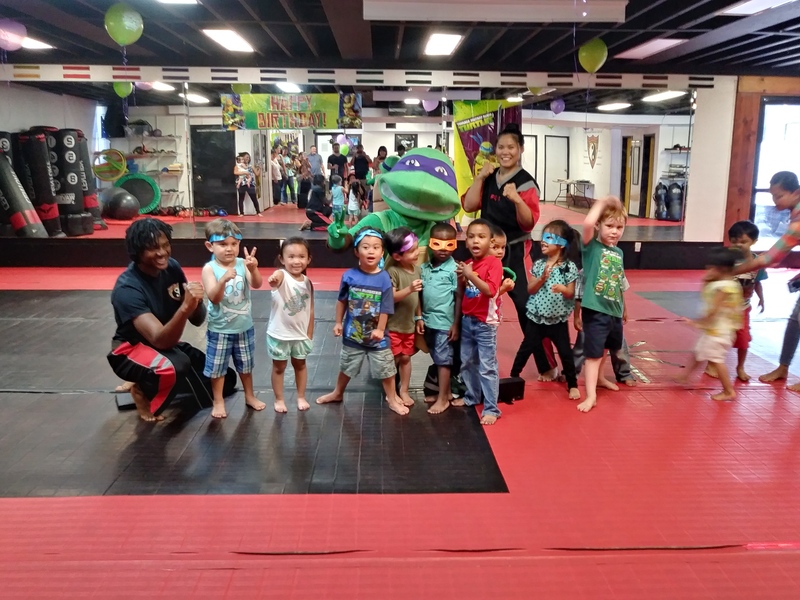 Overall kids had fun and enjoyed themselves. Had a great experience. Our Black Panther was so much fun. He gave 110% to some very active 5-8 year old boys. He was punctual, professional, and so interactive. Celebration Sensation was very service oriented and provided what they promised. The caricaturist did a good job and covered all event by providing nice caricatures. It was a 'Shimmer and Shine' themed Birthday party. Even thought the costume was in the theme, it wasn't Shimmer/Shine. The performer did her best to entertain. Kids had fun. Having mixed-age crowd probably made it difficult for the performer. Kids were running around and not always around her. The magic performed was for 5-6 year old level. Over all it was a success. It was more than amazing from the time she ( Cinderella) walked in the kids were in heaven!! She was so patient and even face painted kids that the mothers swore their kids would not allow. 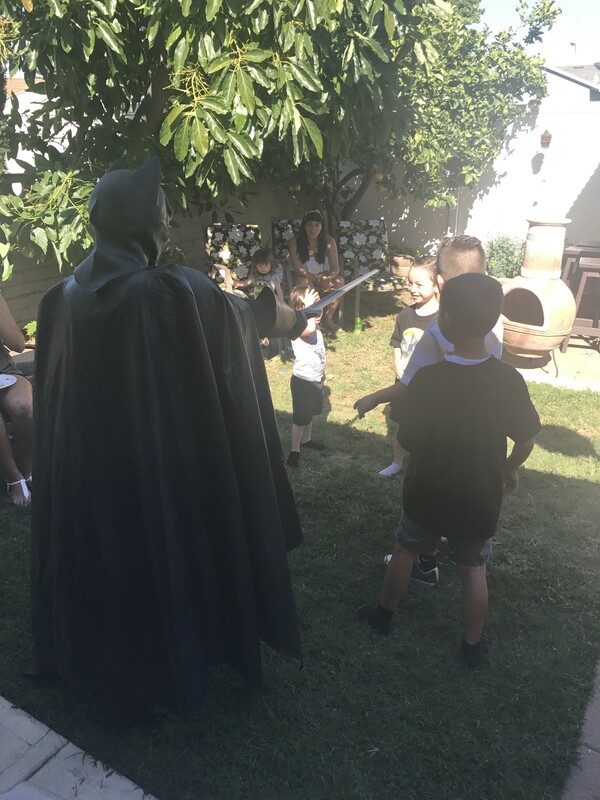 I'm sure my little niece and her friends will never forget the party, also there was a 4 year old with autism and she had a blast and also sat and listened to the story and had the face paint. Will definitely recommend them. Wonderful! So happy to hear you had an awesome party!! Looking forward to being a part of your next event. Celebration Sensation just came through with a last minute lifesaver. I called Nicole and she picked up the phone right away, checked the calendar told me that someone would be available tomorrow and she would call me back to confirm. She called me back within 30 minutes and sent me all the details. Another company, that I will not name, I booked weeks ago and cancelled on me last minute. 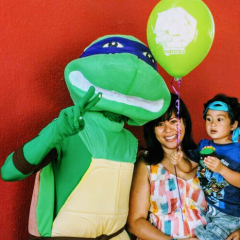 Cheers to Nicole and a huge thank you for saving my son's 3rd birthday party!! THANK YOU SO MUCH!! I will update my review after the party, but I bet Celebration Sensation will be amazing. 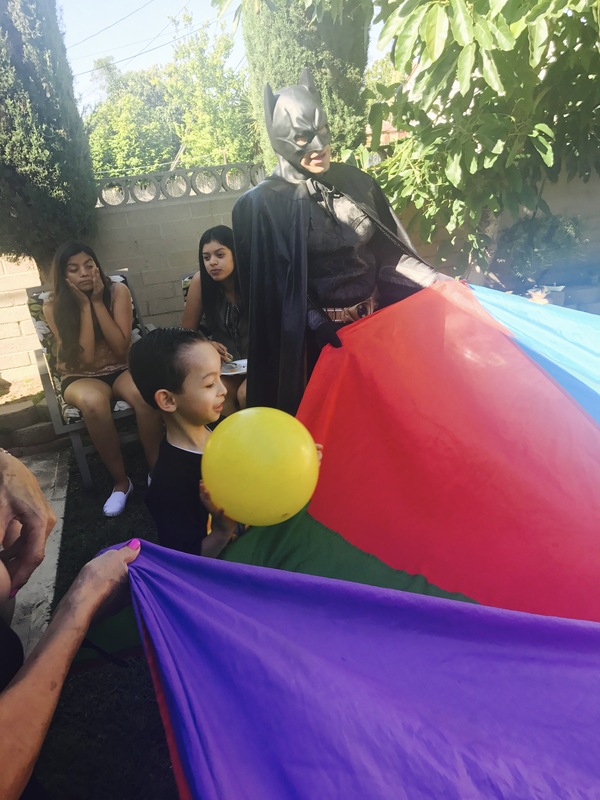 Batman Themed Birthday Party for an excited three-year-old! 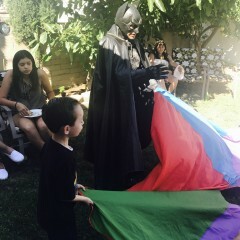 You can't put a price on a three-year-old boy's face when Batman shows up. He was so excited to see one of his favorite super hero's show up at the door. 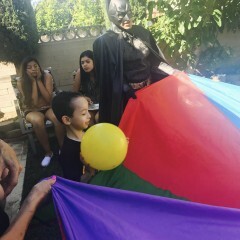 Batman entertained about ten children under the age of four and managed to keep in character. He was happy, and in, return I was happy. Thank You. As for keeping in touch with me, Nicole was great. We went back-and-forth on dates, and she accommodated me at every step. Celebration sensation has a lot to choose from. Our person was energetic & entertaining for the kids. Then he changed into mickey mouse. The costume looked authentic & everyone loved taking pictures wth him. Thanks to Gig salad our event was Awesome. We enjoyed the Petting Zoo and the Face Painter was awesome everyone loved both. Thank you so much. You all were great. I was so pleased . All the children loved the petting zoo and the pony rides. The parents loved it too. They all said they loved seeing the children so happy and enjoying this experience. I will definitely use your company for the next party. Thank you. So happy to hear your event was a success!! Very professional, I would definitely use them again. So happy to hear that your party was a success!! Looking forward to working with you again in the future!! Nicole was absolutely amazing! She was not only entertaining for the kids but for the adults as well. She played the part of Harley Quinn well! From the very start she was thorough and responded immediately. I highly recommend her! 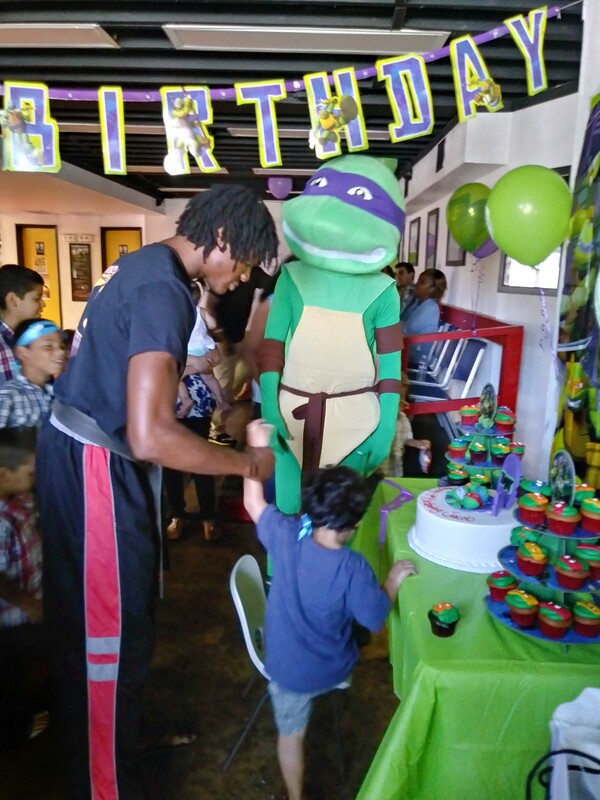 Thank you again for making my daughter's party the best yet. Hi Susan! So happy to hear it was such a hit! Looking forward to celebrating with you on the next one!! 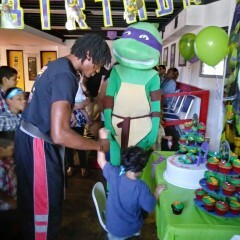 We had a Ninja turtle character Donatello for my sons 4th birthday party and he really made my son's day !!! He was very professional he was there on time and put my mind at ease by checking in with me and asking me if i needed anything else for him to do . 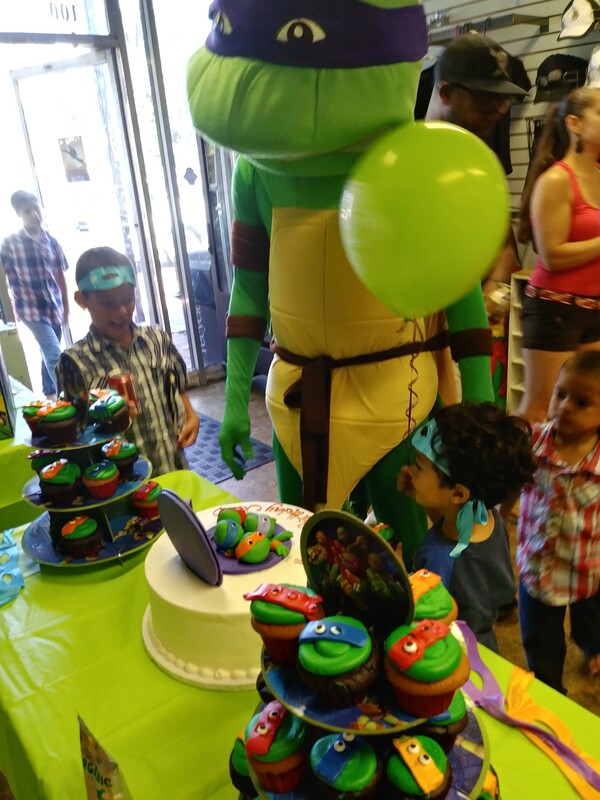 He entered with the TMNT theme song just as i requested and he entertained everyone including the adults. I highly recommend them and will use them in future events. 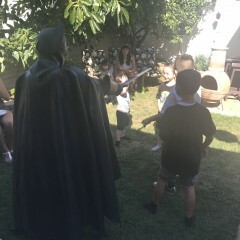 Batman was great with the kids, had a lot of patience and fun games to keep them entertained. Stood for photos with different families and kids. We were very happy with him and would recommend him to family and friends. So happy to hear that your party was a huge success!! 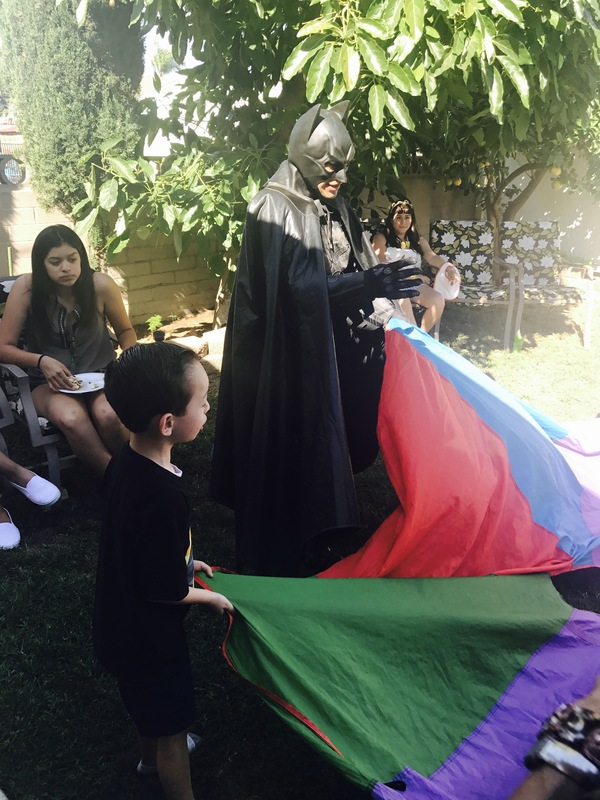 Batman is always a big hit!! 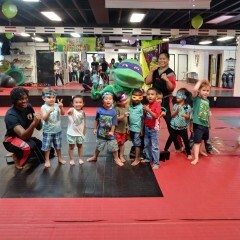 The kids had a fantastic time... thank you. Dave did a good job. Our Batman arrived right on time. 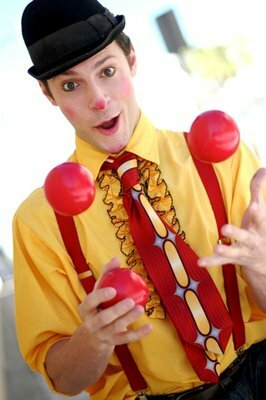 He was great entertainment for the kids. He was very sweet and thoughtful to the children who were a little afraid of him because he had a gruff Batman voice. He was sweating profusely which I commend him for because that plastic mask could not have been easy to perform in. I only wish that I he had a handkerchief or had taken some napkins for a quick wipe so that it wasn't spreading on all his equipment. But he was committed and stayed in character. The contract did mention face painting but wasn't performed. I mentioned it to the batman upon giving him payment but realized that his games were probably more inclusive and fun for the children so I was okay with that getting omitted. Loved our Sully even though it rained at the end all the kids were bisy and entertained. Our grandson just wanted to be with Sully and not let go. Definitely will be using this company again and recommend them to our family and friends. Party was fantastic, face painting was great and so was the Pokemon character. I was very worried about hiring Minnie Mouse because of some reviews of other companies. However, I hired this company to provide a Minnie Mouse for my 1 year old daughter's bday with only 2 days notice. The lady arrived in regular bright clothing at first to do some balloon twisting which was cool. Then she got in her Minnie costume and was perfect. Everyone was super happy. Both Kerry and Nikki were professional and very patient with the party guests especially the children who swarmed them like a bee hive. They were very personable and Kerry engaged each and every guest. 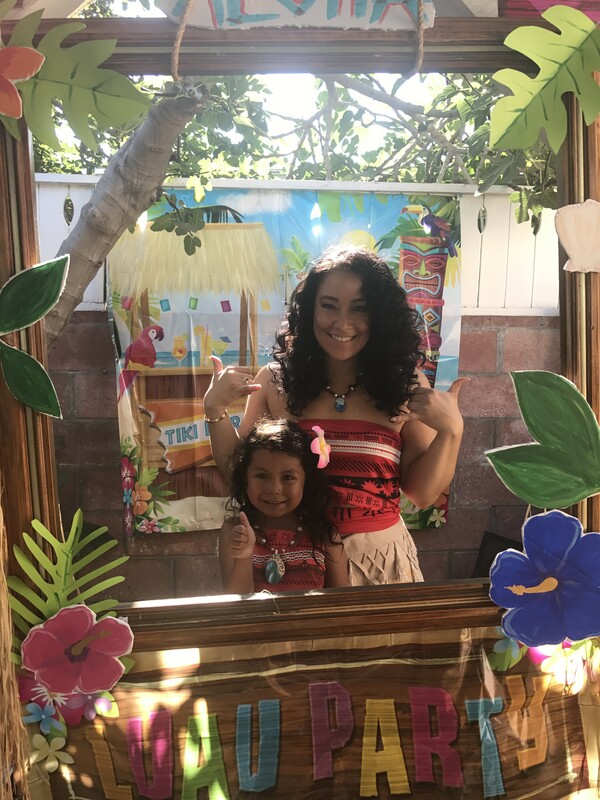 They were also flexible with their time, I ended up asking them to stay for extra time because all my guests children and adults alike were participating in face painting and caricatures. I would hire them all over again. My only complaint was communication with the main office and me not having a way to contact the artists to confirm. Communication took time and had me practicing my patience. I don't like communicating by email and would have preferred to complete info in one shot rather than over a 2 week period. Everything was okay except he could not face paint. 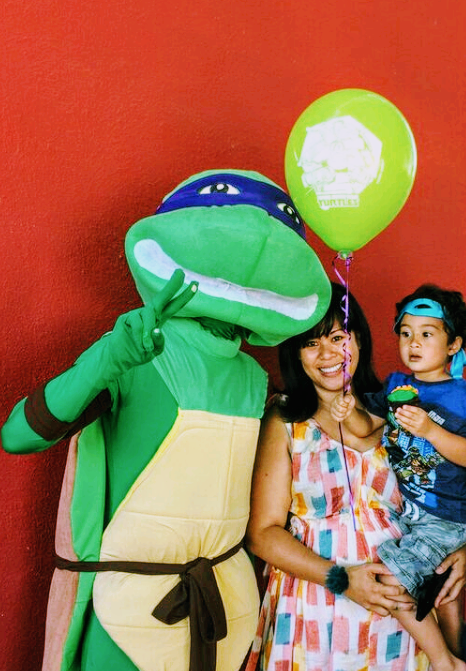 The birthday boy was Raphael. His painting was horrible. Celebration Sensation made my daughter's birthday! I will be using them again in the future and recommend this company to all of my friends who have little ones. Celebration Sensation exceeded all expectations. 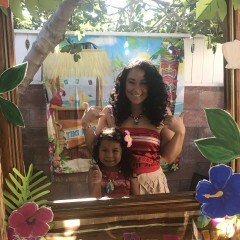 The performer was absolutely AMAZING,everyone, kids and adults alike, absolutely LOVED her. We are beyond pleased. Thanks so much for sending us such a beautiful person-- inside and out! Everything went great! 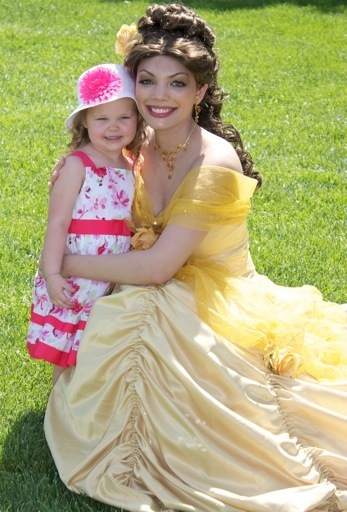 My daughter is still talking about Tinkerbell... she loved her! She was great with the kids and they really enjoyed her. Thanks to Celebration Sensation for a wonderful event! Liz was a wonderful clown, the bouncy and chairs and tables arrived and were taken down when we'd arranged, and everyone was extremely pleasant and professional. I really appreciate everything they did for me, and I will definitely be recommending them to others and using hem in the future. 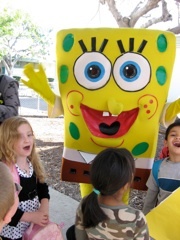 They were on-time, extremely professional, and most importantly, the kids really loved them. A great attitude and VERY professional approach. Not only are they terribly talented, but they are just about the sweetest people you'll find to work with! I have used this company many times to help with my events. They show up on time, their actors look amazing, and they really understand why a great theatrical presentation is so important! I adore working with them! Every perfomer I've hired from this company has been so professional and talented.